Grace, originally from Canton, SD, now calls Sioux Falls home with her much-loved dog Apollo. 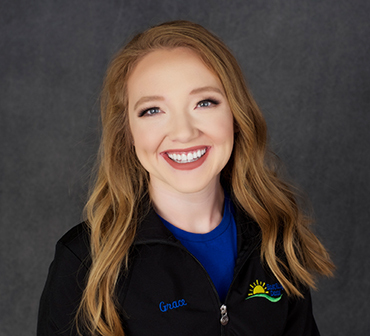 She joined our team in June of 2018 and has been working her way up the dental assisting ladder. She is currently going to STI to gain her certified dental assisting license after changing her career path from being a certified exercise physiologist. She strives to provide a supportive and comfortable environment for all her patients and always has a smile on her face. Outside of work, she enjoys house projects, playing with Apollo, being outdoors and spending time with family and friends.